Guardians of the Galaxy opens on August 1st. Watch this extended clip to find our what Rocket Raccoon thinks is so funny. 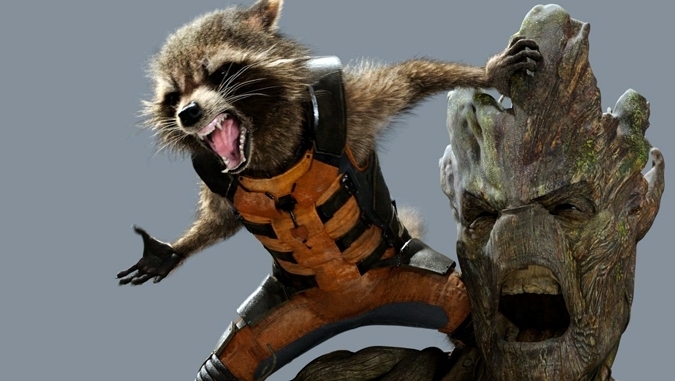 Marvel’s “Guardians of the Galaxy,” which first appeared in comic books in Marvel Super-Heroes, Issue #18 (Jan. 1969), stars Chris Pratt, Zoe Saldana, Dave Bautista, featuring Vin Diesel as Groot, Bradley Cooper as Rocket Raccoon, Lee Pace, Michael Rooker, Karen Gillan, Djimon Hounsou, with John C. Reilly, Glenn Close as Nova Prime and Benicio Del Toro as The Collector.